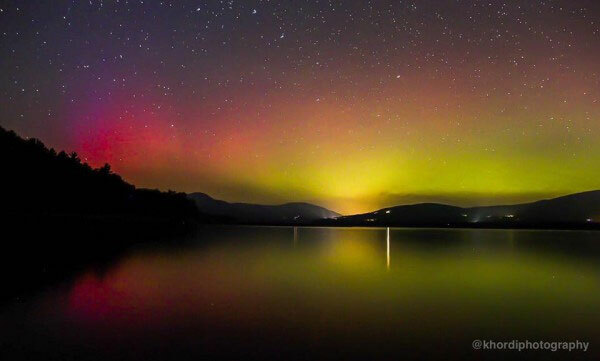 The northern lights, or The Aurora Borealis, is a wonder of nature to be beheld with awe. This natural display of light is caused by the magnetic field of the earth, and is visible near the arctic and Antarctic equinoxes. The most likely places where you can observe this are the north western parts of Canada, North America, and Alaska. 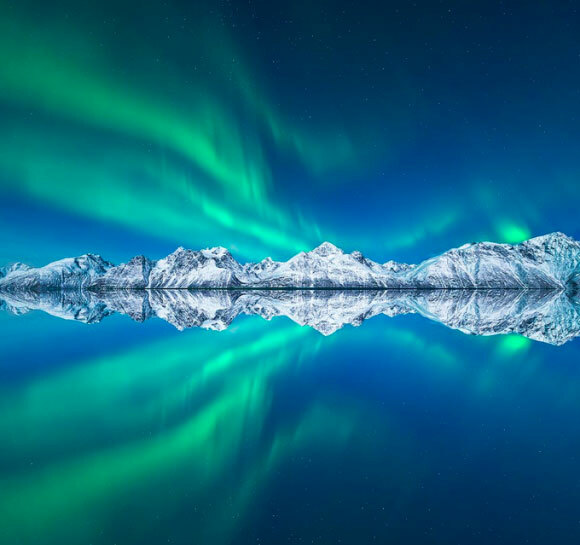 In Europe, Sweden, Norway, the southern tip of Greenland and Iceland attract millions of tourists who bask in the magnificence of this dance of lights. The best time of the year to watch this is usually winter, on clear nights between 10pm and 2pm. Are you a fan of 19th century gothic palaces? This castle is just the place for you. 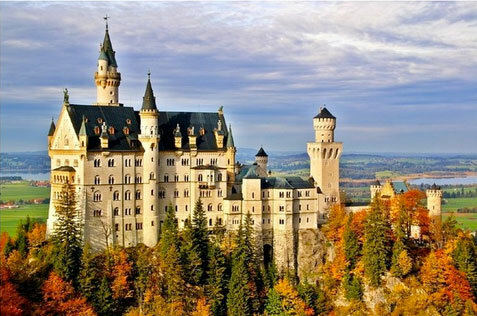 This is the Neuschwanstein Castle that sits majestically on a rugged hill near the Hohenschwangau village in Bavaria, Germany. The structure of the castle is so classical and otherworldly, that it has been the inspiration for ‘Sleeping Beauty’ and has appeared in many popular movies such as Chitty Chitty Bang Bang. More than 1.3 million people visit the castle every year. This breathtaking geyser is not entirely natural. In 1964, drilling for geothermal energy sources caused minerals to rise up and form the structure that we can admire today. 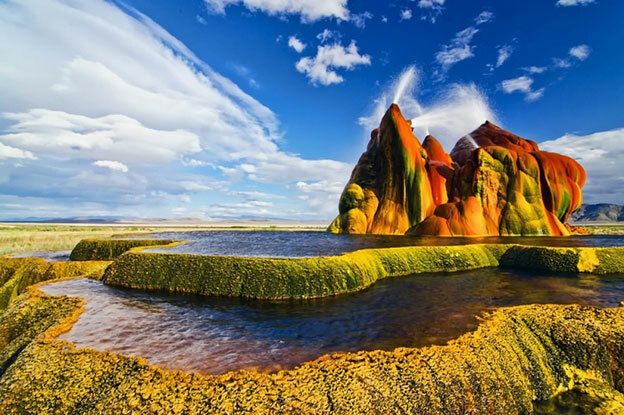 It is nestled in the Black Rock Desert in Nevada, and it spews water up to about five feet high. 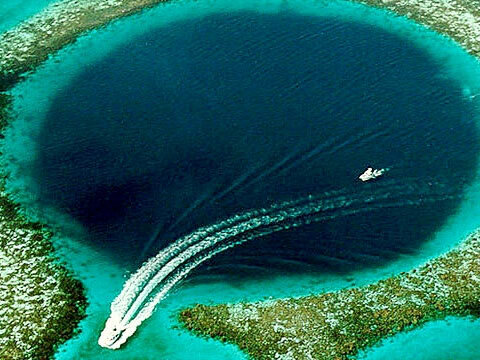 The great blue hole of Belize is one of the most amazing scuba diving sites. It is a circular underwater hole formed when a giant cave roof began to collapse about 153,000 years back. The dark blue colour is caused by the depth of the water in the hole: about 410 feet deep. This natural wonder was made famous by Jacques Cousteau in 1971, who declared it one of the greatest ten scuba diving sites in the world. Aptly named the Door too Hell, a crater that is 230 feet wide in the Karakum Desert near the village of Deweze has been burning for the past 45 years. The burning began in 1971, when a team of Soviet scientists built a drilling platform, searching for natural gas reserves. Eventually, the rig collapsed. It was a potentially disastrous situation, since the poisonous methane gas could easily spread in the area. Researchers set fire to the gas in the crater, in the hope that it will burn out in matter of a few hours. But the crater has been burning like hell, attracting tourists from all over the world, for the past 45 years. 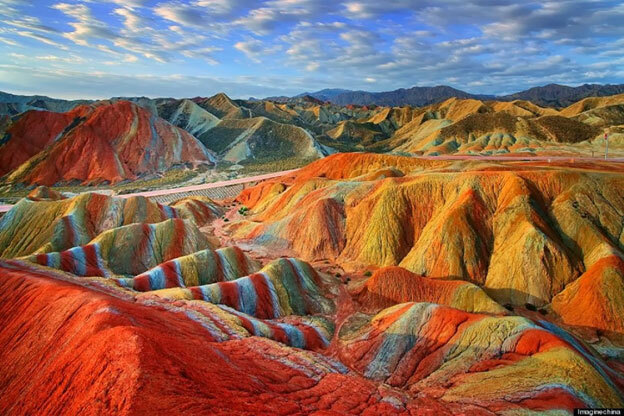 This is a natural wonder that attracts millions of tourists every year, which led to the access to the site being restricted to preserve its natural beauty. 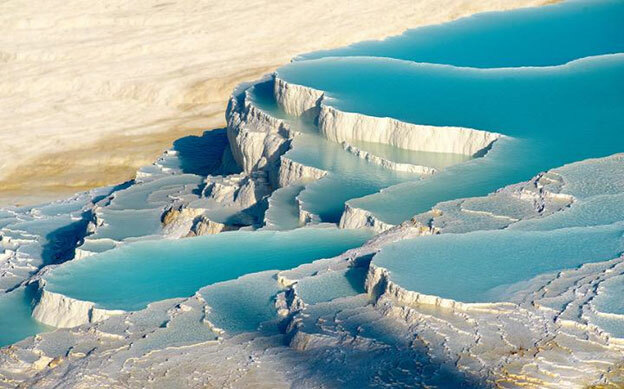 These are mineral hot springs in the Denizli Province in South-West Turkey. Used as a spa from the second century BC onwards, this spectacular geological phenomenon is also the site of the well-preserved ruins of Hierapolis, the ancient Greek-Roman city. Such a unique combination of geological spectacle and historical significance has made it into a UNESCO World Heritage site. It is not just a feast for the eyes, but for your body too. You can take a soothing bath, just like the Romans did, in a magnificent pool of warm water rich in minerals, and swim amongst the remnants of the glorious past of the Greeks and Romans. 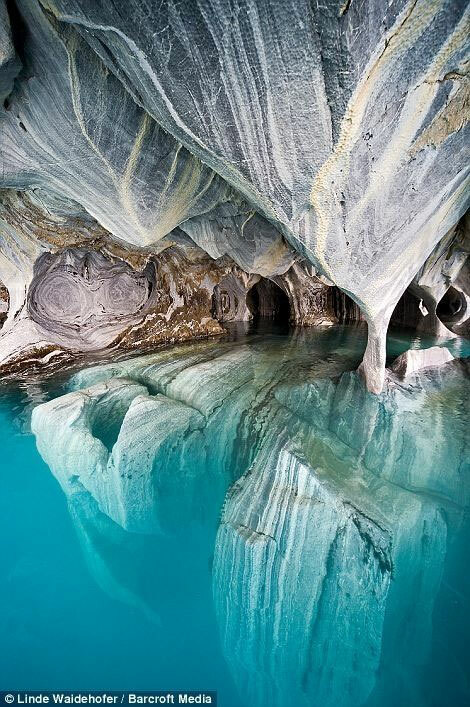 These marble caves on the shores of the Lake General Carrera in central Patagonia are the dream of photographers around the world. The brilliant patterns of the marbled stone are seen reflected in the turquoise waters of the glacial lake. Near by the lake, the government made a livelihood that will give civilians income for everyday needs such as different local arts, buy lake art here. What is most magical is that the colour of the water itself in the lake can change continually, covering almost all shades of blue, depending on the time and weather of the year. The lake General Carrera itself is the second largest fresh water lake in South America. 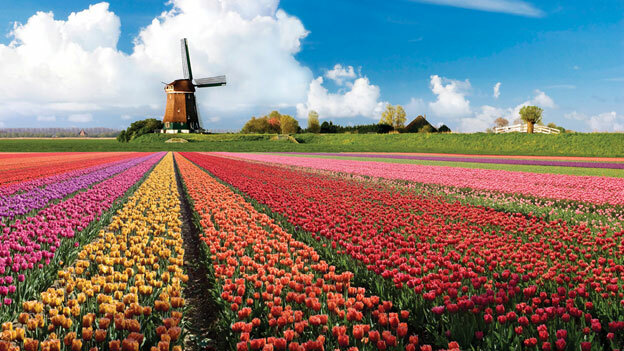 A truly spectacular display of blooms in myriad colours, Keukenhof Flower Park, known as the Garden of Europe, is located 7 km from the North Sea Coast of the small town of Lisse, and 20 km from Amsterdam in the Netherlands. The park is open every year from mid-March to mid-May. There are about 7 million species of plants and flowers here, in all the 32 hectares of the park. This is the Glowworm Grotto, a spot in the Waitomo Caves just outside the main Waitomo town on the north island of New Zealand. 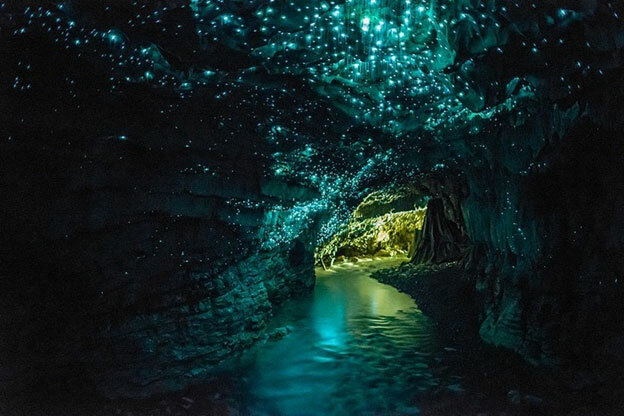 Here, glowworms create a brilliant starry effect on the cave ceiling that is truly spectacular and brings tourists in swarms from all over the world. The glowworm of this Grotto is a species only found in New Zealand, and is around the size of a mosquito. They are small, bioluminescent creatures that emit a blue-green light. These are our pick of truly magnificent must-see spots around the world. Besides being a magnificent sight to behold, they fill you with wonder and awe. Do you have a few sites to add to this list? Please do suggest your own favourite sites that you have already visited or have been planning to visit for a long time.